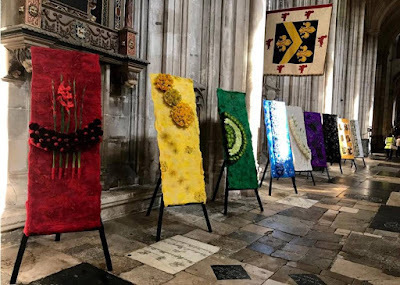 I’m really proud to have been involved in the Festival of Flowers at Winchester Cathedral, helping the West Wight Floral Society with their arrangements. 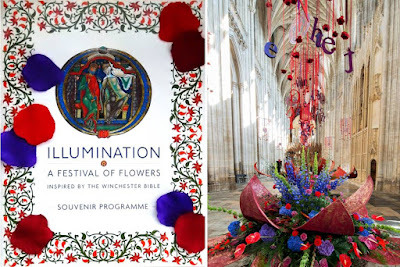 entitled ILLUMINATION, a theme inspired by the Winchester Bible. 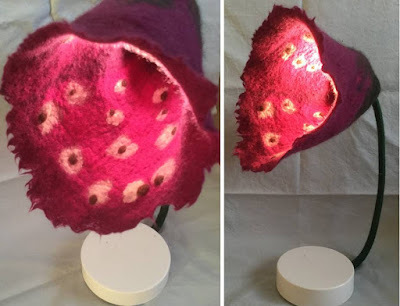 as does Tash's amazing foxglove lamp! Many thanks to Soosun, Dorothy, Tash and Helen for letting me include these..
own please do not place lit candles or high wattage light bulbs close to felt! 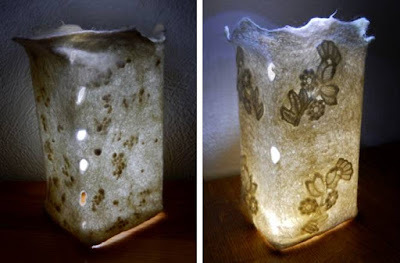 and low energy saving bulbs to be safe! 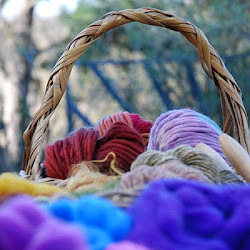 Finally - a special THANKS to you for taking time to read my blog. 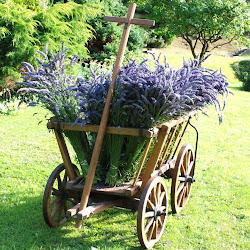 Now I can't believe it's the first of September! 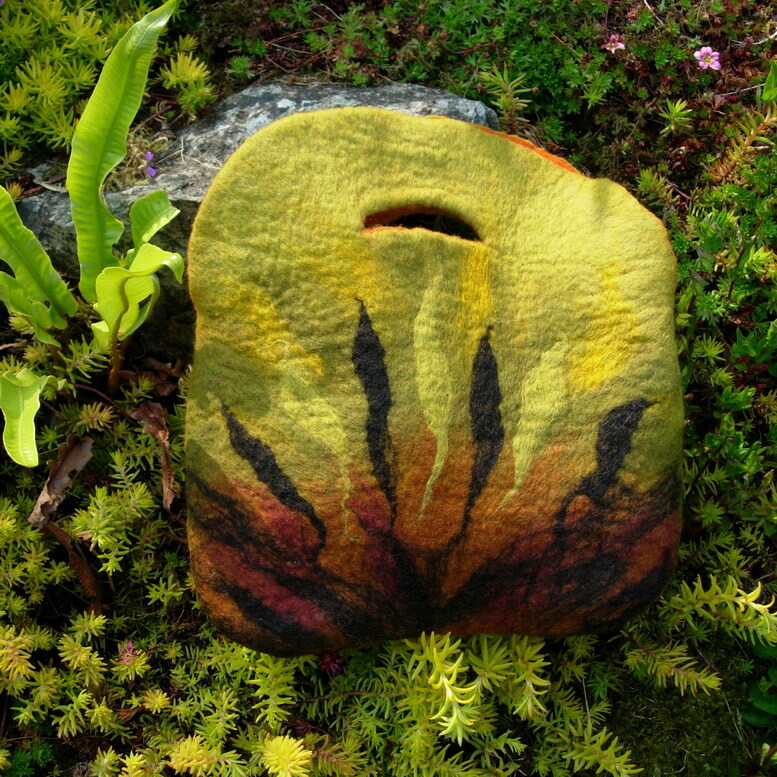 the early morning dew signal a definite change. 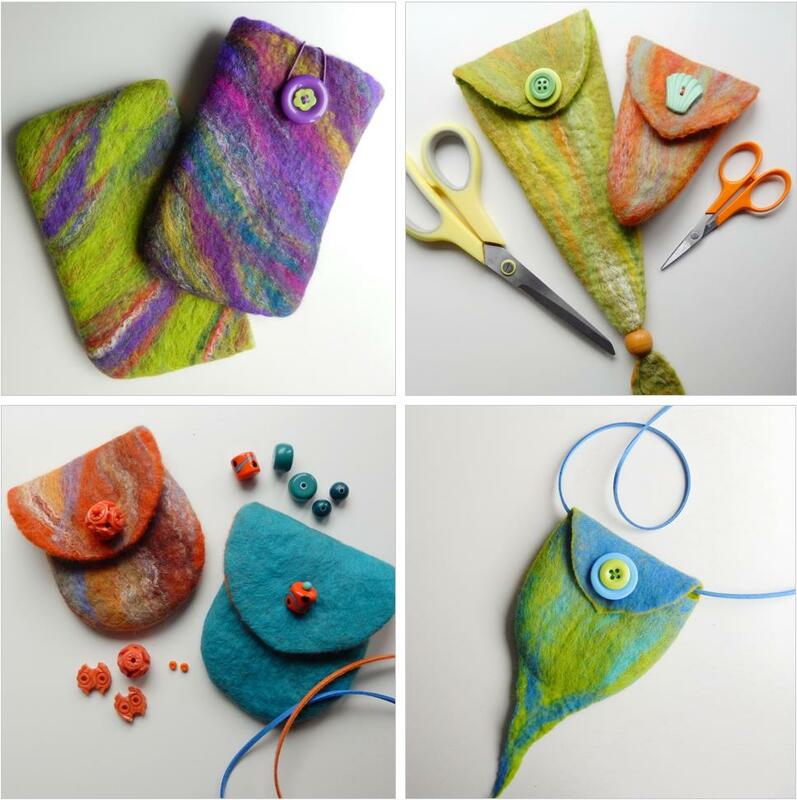 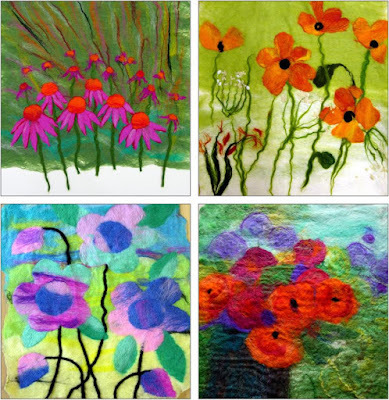 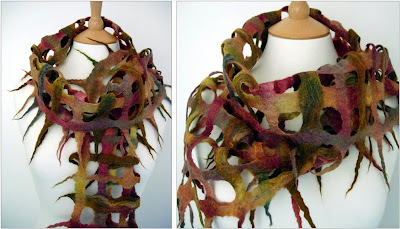 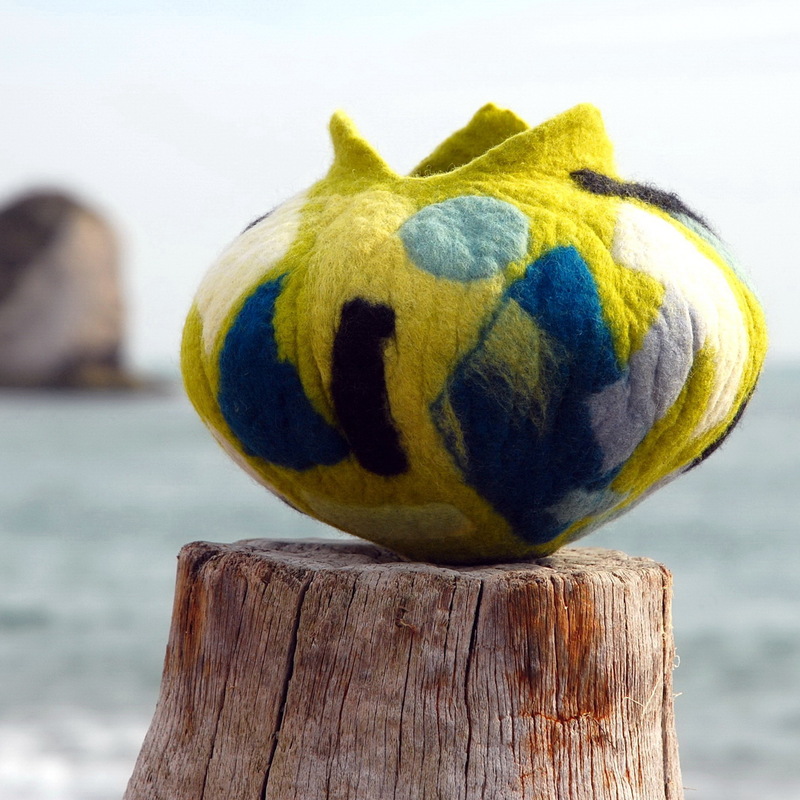 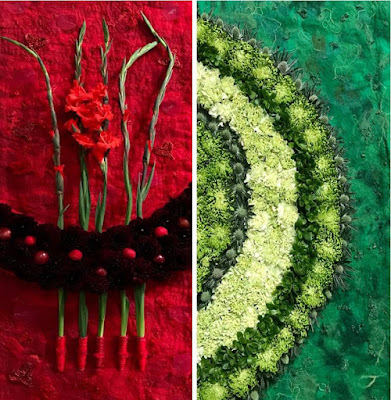 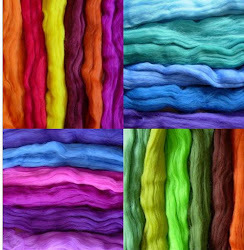 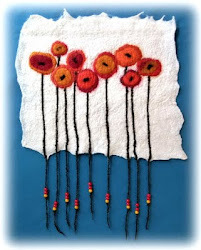 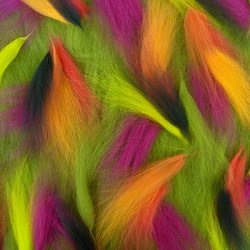 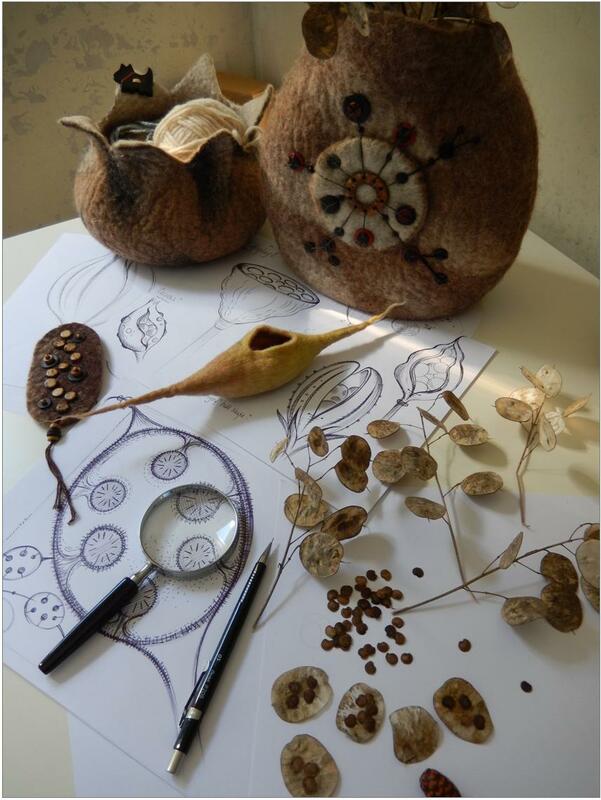 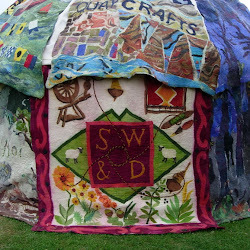 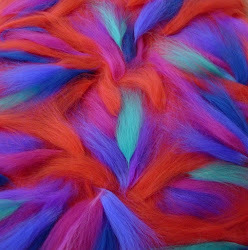 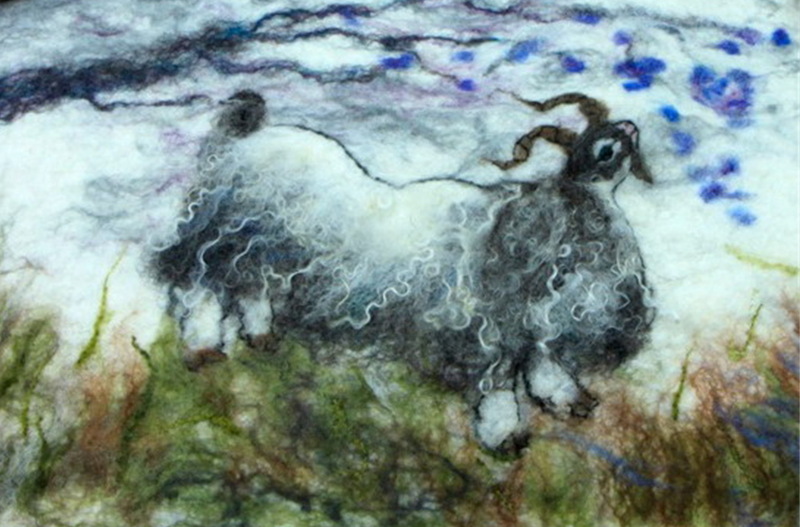 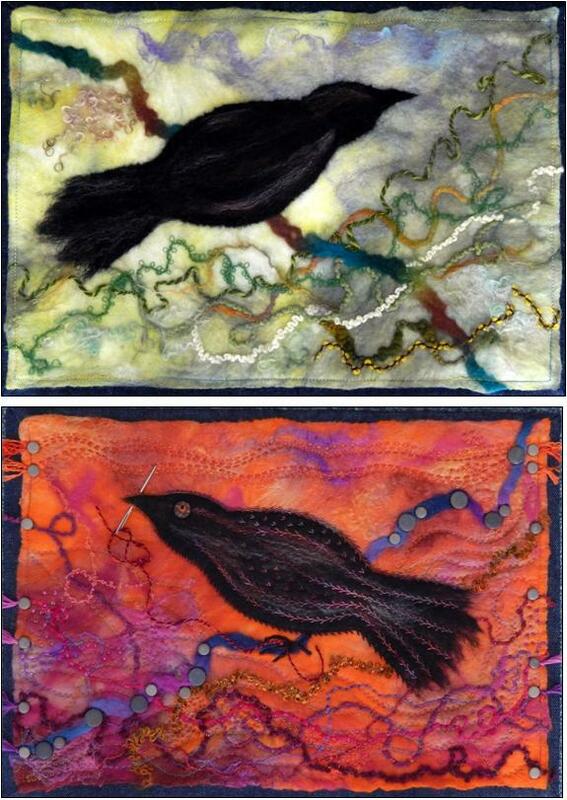 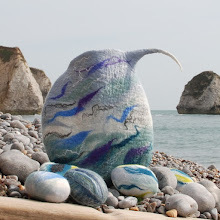 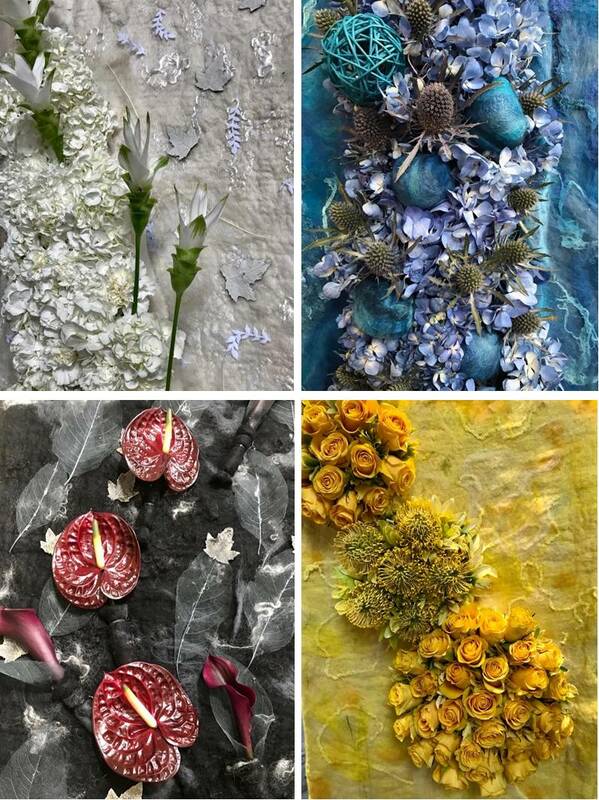 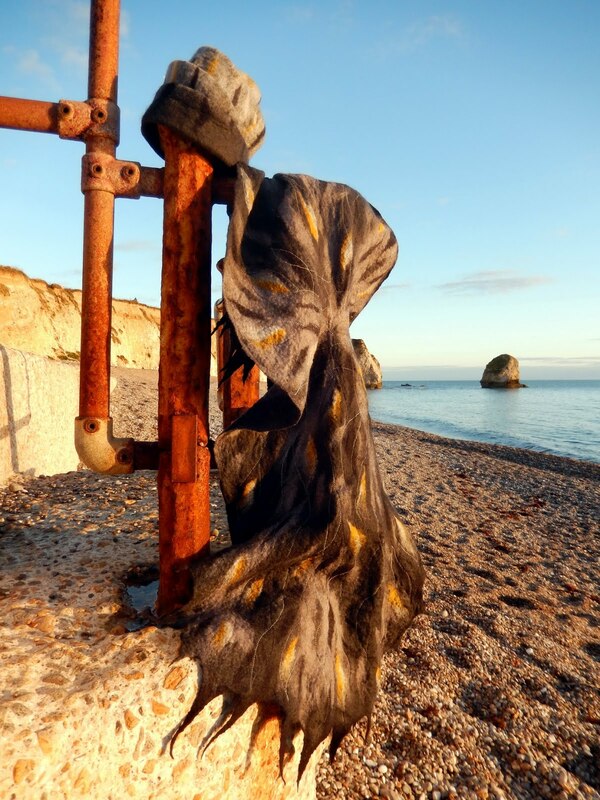 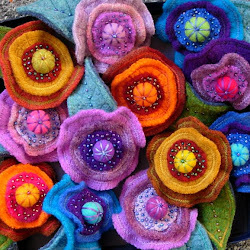 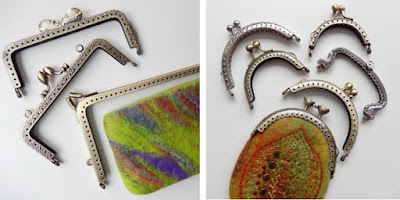 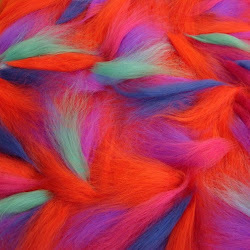 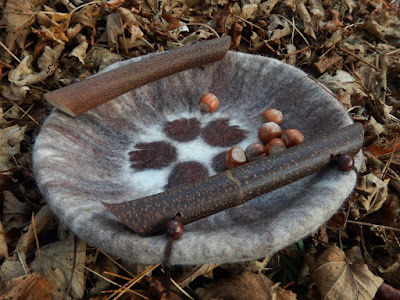 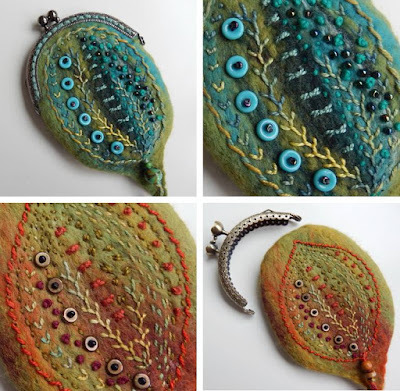 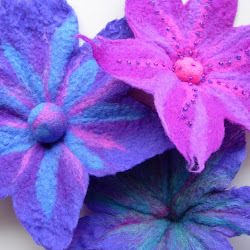 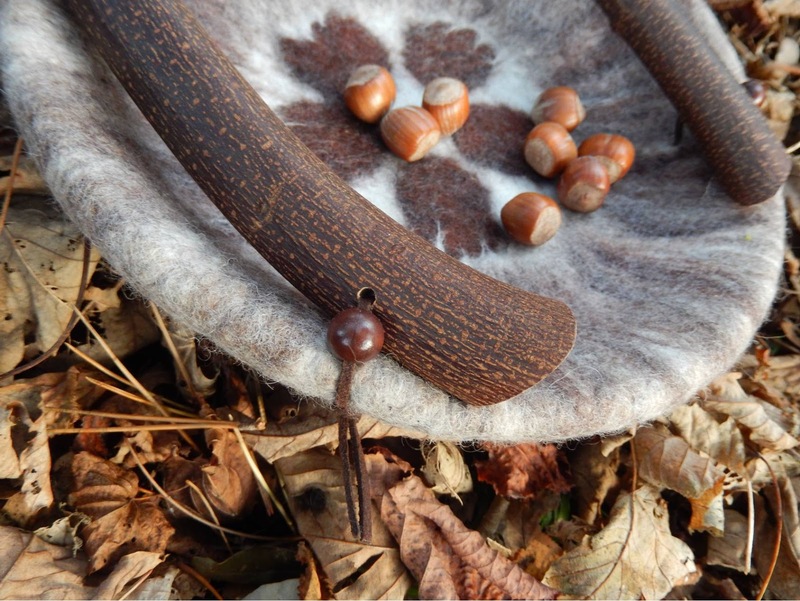 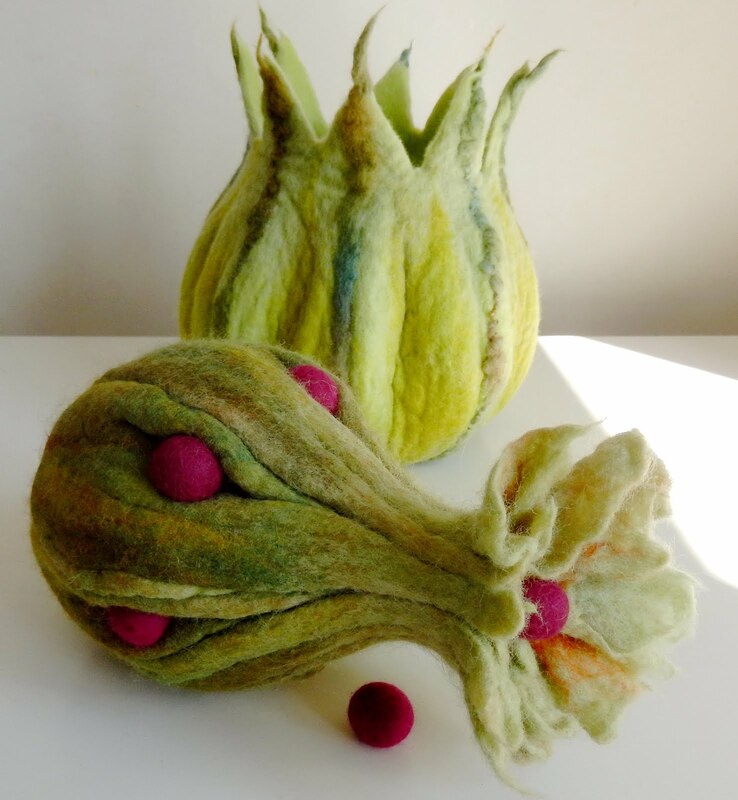 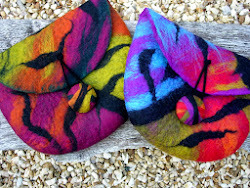 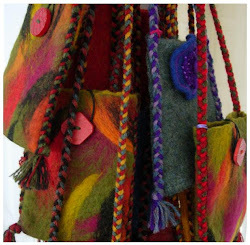 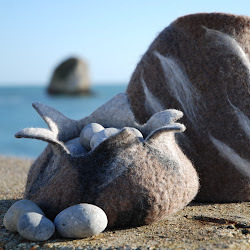 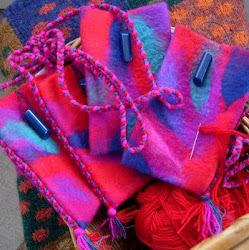 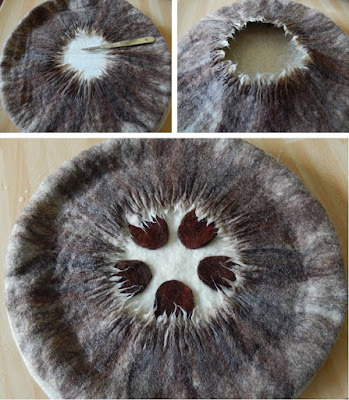 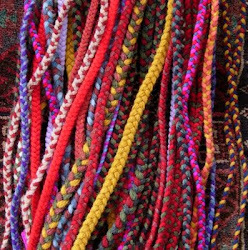 This popular workshop is great introduction to wet felting! 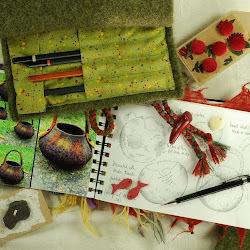 You will learn basic feltmaking techniques and experiment with fibres & textures. 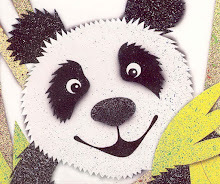 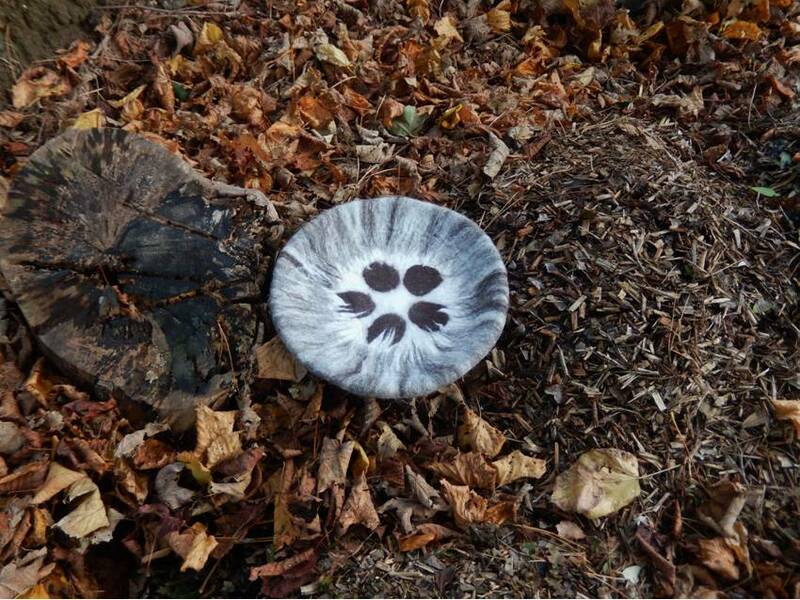 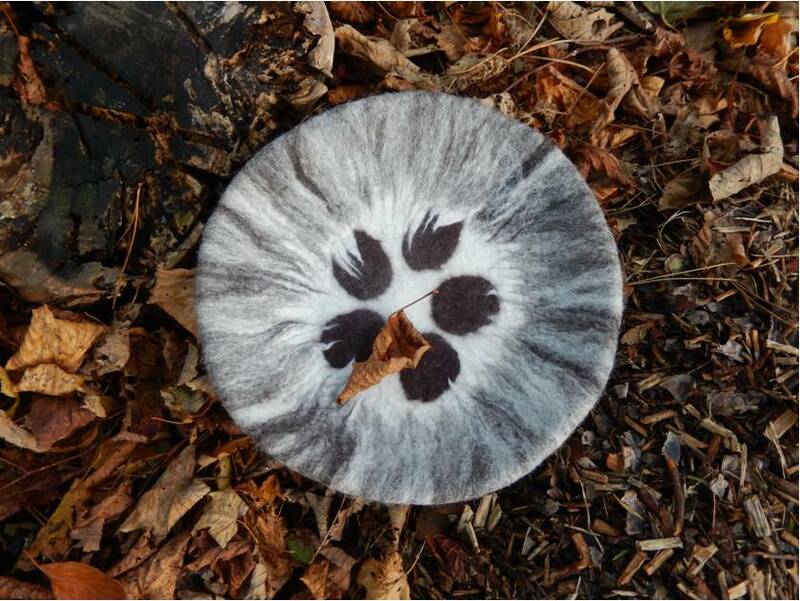 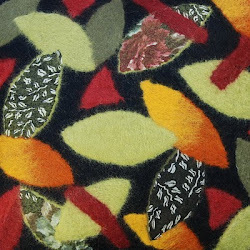 a flat piece of felt - a picture or design that can be stitched into later. 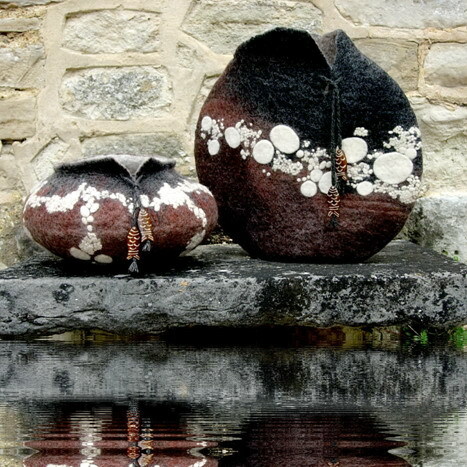 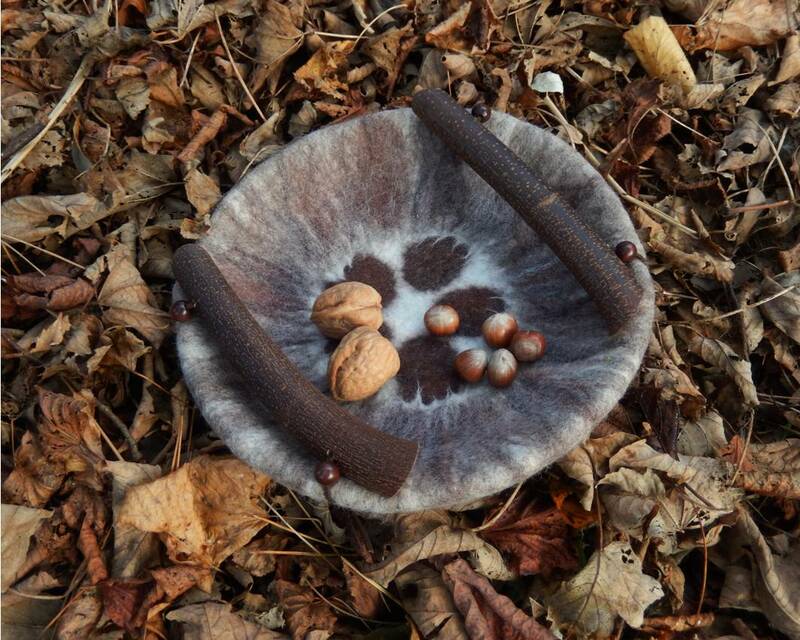 bowl or pod inspired by the shapes and colours of autumn! 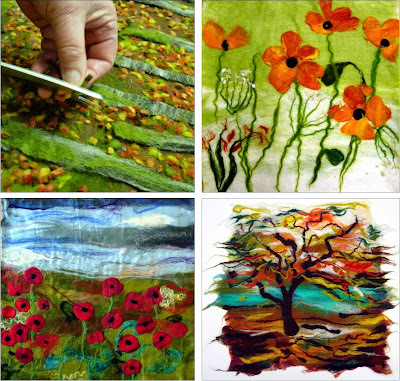 This workshop is for ALL abilities. 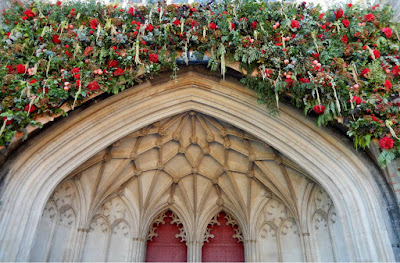 Beginners welcome!. 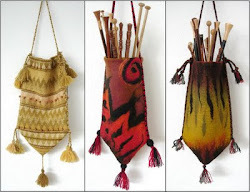 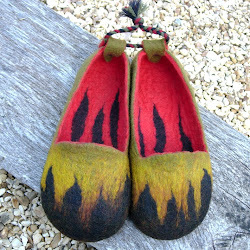 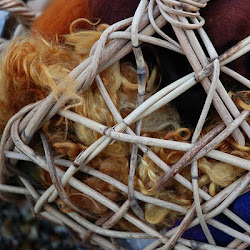 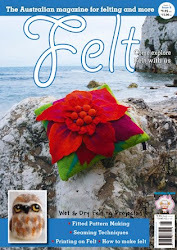 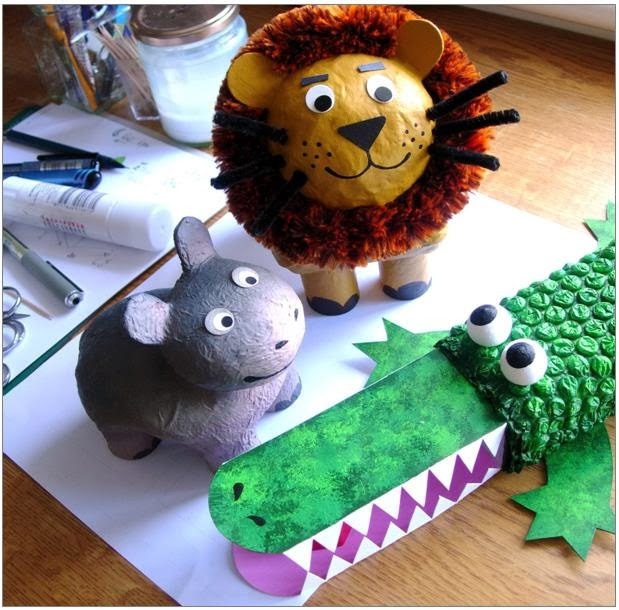 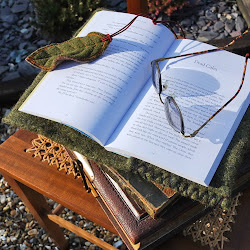 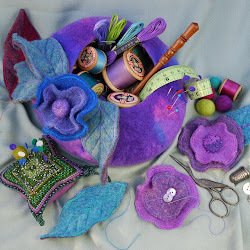 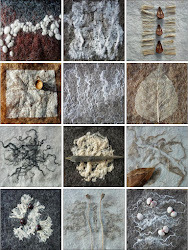 This workshop is for experienced feltmakers..
wanting to make for ages but needed the time and space to make it happen! 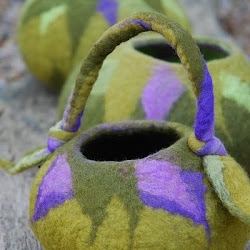 Maybe an unusual shaped vessel, bag, hat or even a pair of slippers! 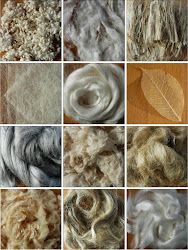 informal discussion instead so we can share ideas and re-cap on techniques. 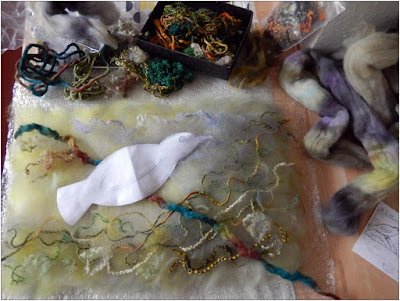 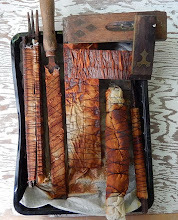 This will leave more time for experimenting & felting during the day. 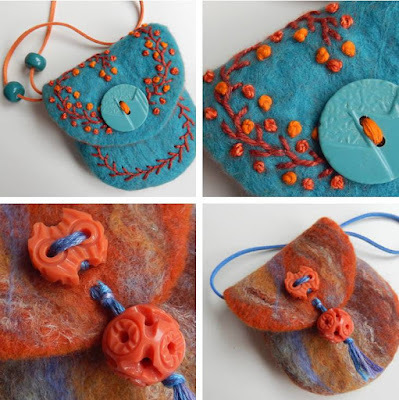 with a unique piece of felt to wear! 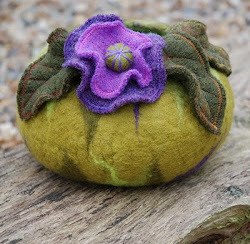 3-D felting but on a small scale!!! 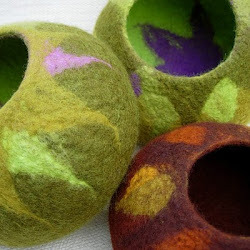 Fun, functional and simple to felt they make perfect gifts! 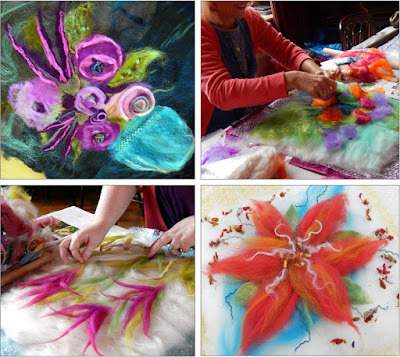 and take away all the template shapes to continue felting at home! 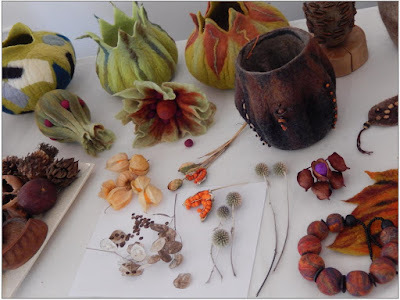 make great gifts and wonderful tree and table decorations! ALL materials, enough to make several birds and animals. 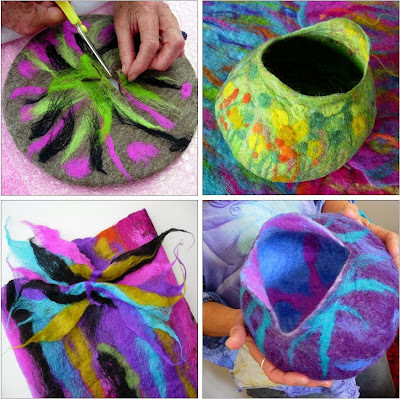 there's an extra charge for materials or you are welcome to bring your own fibre. 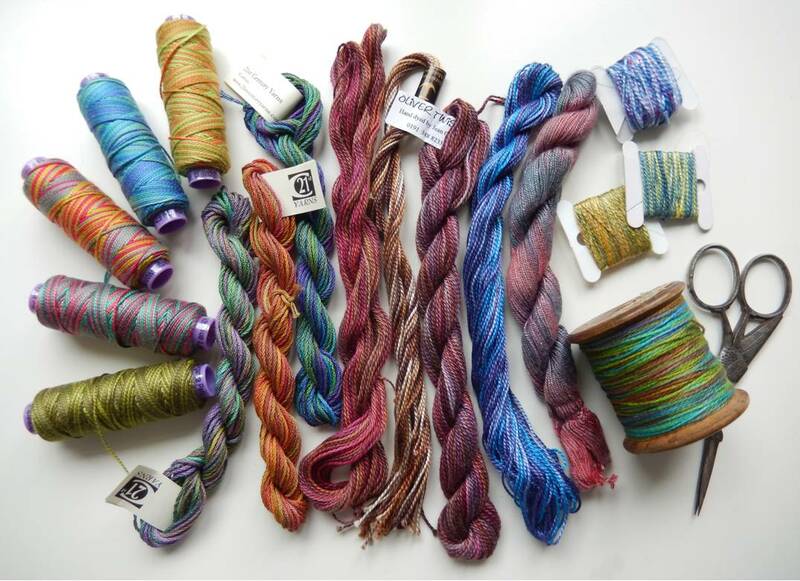 and this includes ALL materials.